DC motor repairs, refurbishments and rewinds have been part of our heritage for many years. Knowledge gained through manufacturing and repairing DC motors has enabled Mawdsleys to remain at the forefront of the DC motor market. We offer an end to end service for the design and manufacture, installation, ongoing maintenance, rewind, repair and emergency breakdown service for all makes and models of DC motors across various different sectors. Due to the nature of its purpose, carbon brushes are designed to wear down over time. 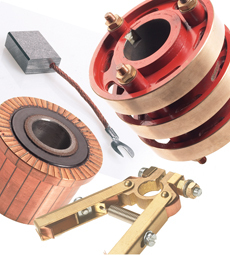 When carbon brushes wear down, it can damage the armature, cause a loss of power from the motor, damage the commutator and cause motor failure. By reviewing your carbon brushes we are able to determine if the brushes are installed correctly. Incorrect installation will mean operational problems and lead to premature wear of the brush. We look to see if the brushes have signs of wear or damage due to electrical under loading, overloading, winding faults, voltage surges, sparking or issues with the commutator. Regular repair and maintenance of your carbon brushes will prolong the life of your DC motor and prevent the risk of unexpected breakdown. Carbon dust is a by-product of carbon brush wear, when the brushes wear down they give off abrasive dust which can cause problems within the motor. 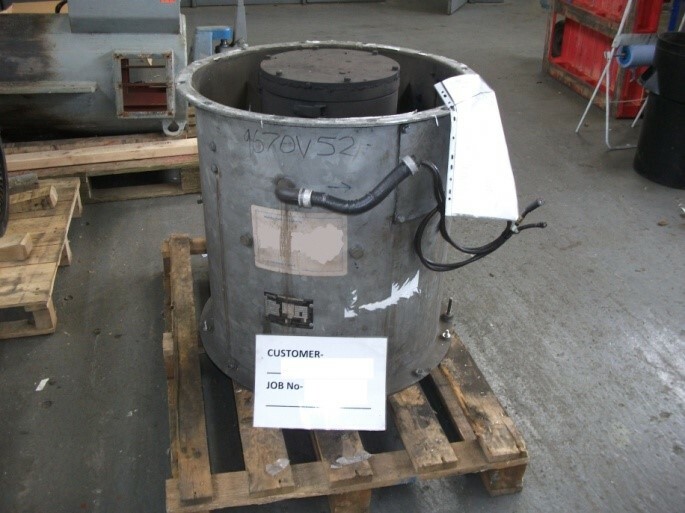 As well as damaging the commutator, carbon dust can result in power loss and complete motor failure, dust becoming airborne can cause trouble for other motors in the vicinity as well as staff. In order to prevent the build-up of carbon dust, operators should visually inspect and clean the motor regularly, ensure carbon brushes are properly fitted and replaced as required and ensure there is no excessive noise and vibration within the motor. A DC motor’s health can often be quickly assessed by inspecting the commutator, with different kinds of imperfections indicating different problems within the motor. Slot Bar Burning – This can be identified by dark and light bars on the commutator surface, they are caused by the first or last conductor in the slot passing under the carbon brush before or after it enters the commutation field. 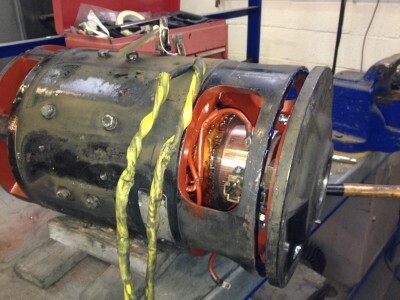 Leaving your commutator in this condition for too long can result in motor failure. Threading – Threading can be identified by numerous thread-like thin lines forming on the commutators brush paths; an early indication of threading is dark streaks appearing along the brush path. Failing to act upon threading will result in rapid carbon brush wear and excessive carbon dust, caught early enough, the commutator can be machined in place to restore the surface. See video below. Grooving – Grooving can be identified by smooth ‘grooves’ on the commutators brush path. Grooving is often caused by the wrong carbon brush being used or the brush being incorrectly fitted. 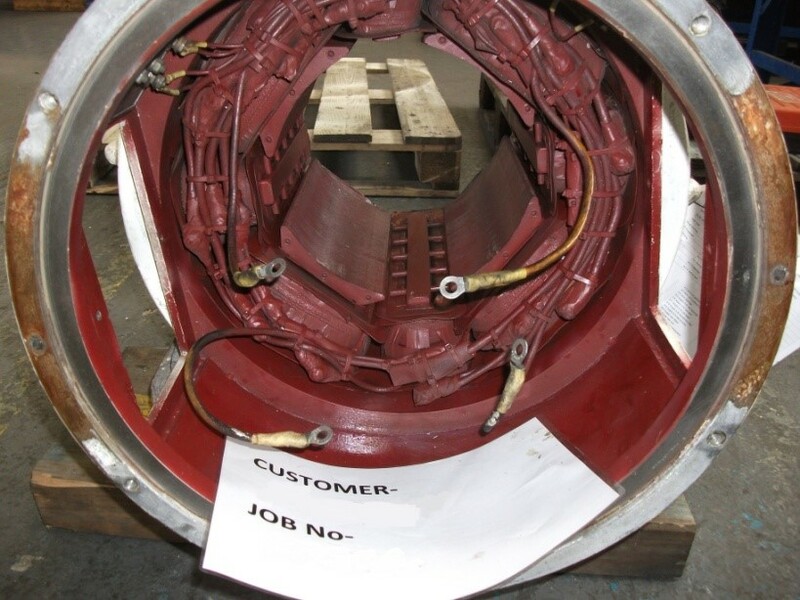 Left unchecked, heavy grooving may require commutator replacement, brush holder replacement and motor repair. Within our in-house repair and overhaul department in Bristol, we carry out full repair, rewind, fault investigation or complete overhaul of all types and sizes of DC motors; we also offer a preventative maintenance service involving the regular receipt of DC motors for inspection and fault finding. We hold a comprehensive stock of motor spares and parts to ensure a prompt turnaround on work, with vast technical knowledge and experience with even the oldest and most niche of DC motors. Mawdsleys offer a comprehensive mechanical and electrical service nationally, with our main workshops being located in Bristol. To find out how we can help with your DC motor repair, please contact us on 0117 9552481 or fill out a contact form and we will get back to you.